Blessed is the Match: The Life and Death of Hannah Senesh is the painful World War II story of a young Jewish poet, Hannah Senesh, who emigrated from Hungary to Palestine, and later joined the British army in a valiant attempt to save Jews from certain death at the hands of the Hungarian Arrow Cross Party, which cooperated with the Nazis. This both devastating and inspiring film offers an intimate portrait of a singularly talented, courageous, and complex woman who believed that one person could be a flame that burns brightly in even the darkest hours. Hannah was born in Budapest in 1921 to a wealthy Jewish family. As a poet and diarist from an early age, Hannah embraced Zionism at the age of 17 and immigrated to British-controlled Palestine. In 1944, Hannah was living relatively safely in Palestine, but she was worried about family still in Hungary. She volunteered for a clandestine military mission to parachute into Yugoslavia, sneak across the border into Hungary, and attempted to rescue the Jewish community – including her mother – and lead them to safety. The film makes the point that, shamefully, this was the only such military rescue mission attempted during World War II. Hannah was quickly captured and, as the war was coming to the end, executed for treason. Despite weeks of imprisonment and torture by the Hungarian Arrow Cross Party, Hannah never revealed the radio codes entrusted to her by the British which might have put her compatriots in harm’s way. This multi-award winning film follows the remarkable journey of this young Hungarian poet and diarist, paratrooper, and resistance fighter. Hannah’s story is told through her letters, diaries, and poems, her mother’s memoirs, and the recollections of those who knew and loved her, including two fellow parachutists. 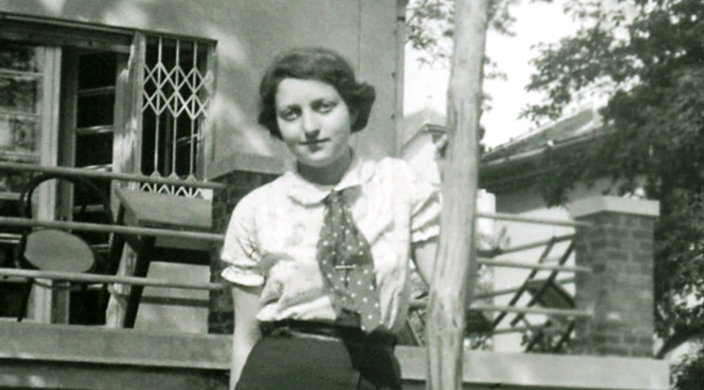 Blessed is the Match traces Hannah’s life from her early days in Budapest to Palestine where she was drawn by the Kibbutz Movement that sought to build an independent Jewish state to the daring rescue mission that resulted in her tragic death. Panel discussion and Dessert Reception will follow. $5 donation requested. Sunday, May 15, 7 p.m., Temple Sinai, 509 Broadway. Call ( 518) 584-8730 option 2 for information or reservations.